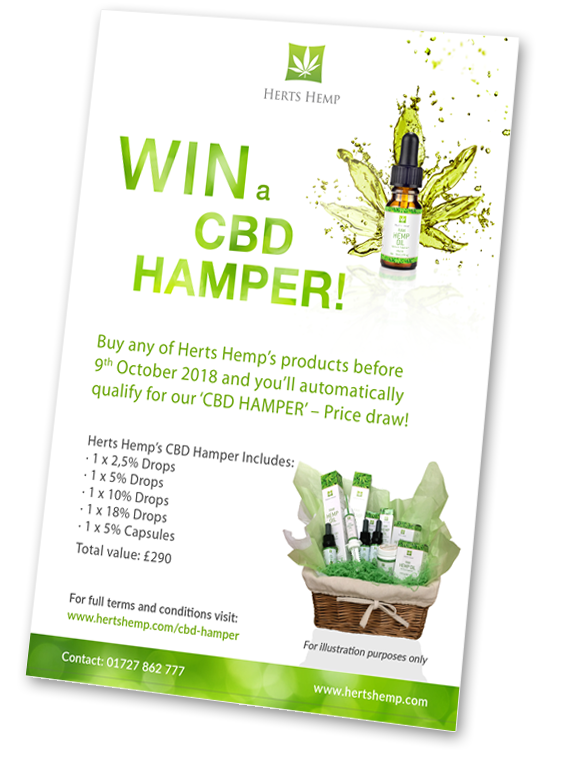 To enter, simply buy any of our products before the 9th October 2018 and you'll automatically qualify for the prize draw. Valid on all purchases from 2nd Oct '18 to 9th Oct '18. Only valid on purchases made from www.hertshemp.com. The winner will be announced on the 10th October 2018.